Readers will learn about the day-to-day responsibilities and challenges of this career and the things they can do now to prepare for work as an geologist. Readers learn about the day-to-day responsibilities and challenges of this career and the things they can do now to prepare for work as a physicist. Readers will learn about the science and technology behind the first trip to the moon. Readers will learn about the science and technology the Wright brothers used to develop the first powered flight. Readers will learn about the science and technology behind the development of the Internet. Readers will learn about the science and technology behind the development of the cellular phone. ​What do engineers do? In this STEAM based title, follow the engineering design process to solve problems. This title supports NGSS for Engineering Design. ​Can you find math in your art? Discover math in art through symmetry, geometry, and patterns in this STEAM based title. Includes a photo glossary and resources. Early fluent readers learn about the science, engineering, and physics behind locomotives. Early fluent readers learn about the science, engineering, and physics behind buoyant hot air balloons. Early fluent readers will learn about the science behind the biggest marine oil spill in U.S. history. Early fluent readers will learn about the science behind the Chernobyl nuclear power plant disaster. Explores the engineering challenges behind building dams, as well as the creative solutions found to overcome those challenges. Readers learn about the day-to-day responsibilities and challenges of this career and the things they can do now to prepare for work as an civil engineer. Bionics uses mechanical and electronic technology to solve biological problems. How does it help people who have lost limbs walk again? How does it return hearing or vision to the deaf or blind? What crucial organs can it replace inside the body? Learn more about how today's bionics are extending, improving, and saving lives. From self-driving cars to magnetic trains, the future of transportation is full of exciting possibilities. Futurologist Luna Li presents possibilities for the future of energy in the next 100 years. Introducing readers to the plants and animals that thrive in wetland ecosystems, its climate, its food web, any threats to it, and conservation efforts. A last second pass followed by a mighty heave toward the basket. The buzzer sounds. Three points scored! What's behind it all? Science! ​Snap! 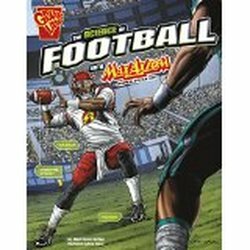 The quarterback throws it deep into the end zone. With the leap of a receiver, the team earns six points. What's behind it all? Science! This book discusses the science behind bridge collapses and their effects. The chapters examine historical bridge collapses, explain how bridges are designed and built, and show how engineers learn from past failures. Chapters discuss collapse by scour, overloading, environmental forces, and collision. The Disaster Science series from Cherry Lake Publishing was named a 2015 Top 10 Series Nonfiction by Booklist. Azaleas, boiled peanuts, camellias, cotton fields, dogwoods, grits, hushpuppies, lovebugs, magnolias, okra, oak trees, pecans, quail, Spanish moss, sweet tea, watermelons, y’all, and “Yes, Ma’am” – these are a few of the things that define the South. 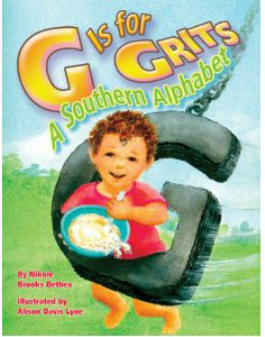 G is for Grits: A Southern Alphabet highlights the grace, charm, mannerisms, and lifestyle of the South – one letter at a time. 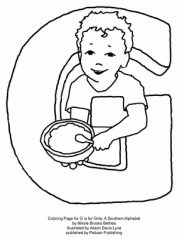 Illustrated by Alison Davis Lyne (Visit Alison's G is for Grits Page). 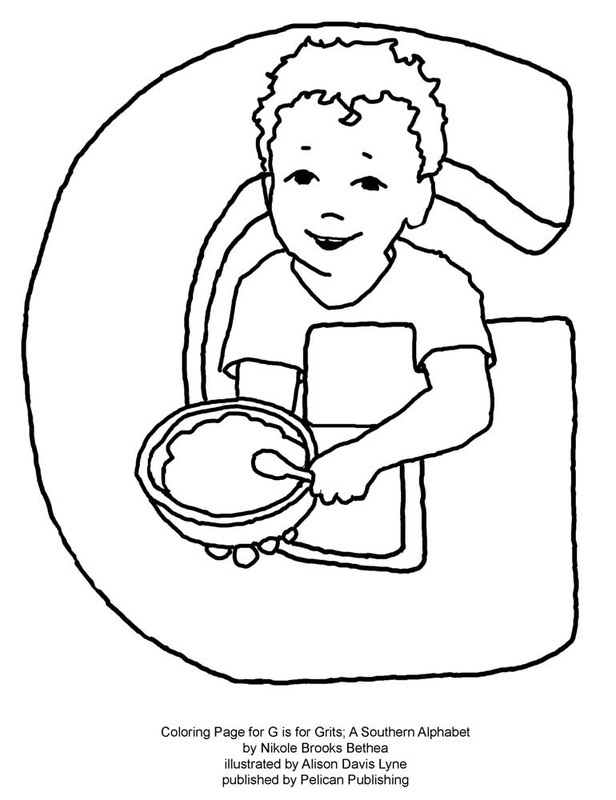 Download Coloring Sheet from illustrator Alison Lyne's page. Max Axiom has a mission. The city mayor needs a recycling center to decrease pressure on its bulging landfill. Join Max as he uses the engineering process to design and build an awesome recycling center. This book has a graphic-novel format. Follow a student's journal as the student learns about oil and coal as an energy source, including how we used oil and coal in the past, how we use it today, and how we may use oil and coal in the future. 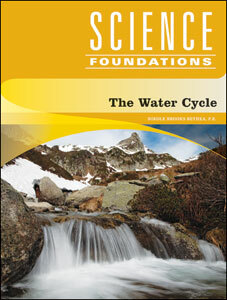 The Water Cycle discusses the development of the concept of the water cycle. It explains how water moves through the reservoirs of the water cycle, including the atmosphere, groundwater, rivers and streams, lakes, oceans, and ice. In addition, it examines how treated wastewater supplements our dwindling freshwater resources.